Boy, It Sure Has Been BUSY Around Here! Help! I’ve fallen into the “I’m just so busy” trap and I can’t get out! What with certified payroll reporting requirement changes, taxes, support calls, blogging, and all the other things that I do; I find that I’ve fallen into that “I’m just so BUSY” trap that many people talk about. See what I’m doing about it. People often ask me how I manage to get everything done – it’s easy! I work from 4 or 5 a.m. to 8 p.m. Monday through Friday, then I slack off on Saturday and Sunday cause I only work from 5 or 6 a.m. till noon! Seriously, that’s how I manage and frankly I’m pretty burnt out! Urban Dictionary has some great definitions of the term busy, you’ll have to visit Urban Dictionary yourself to see what they are. In the middle of all this, my laptop starts going on the fritz and I had to reformat the hard drive and re-install everything. At first I thought it was the laptop itself kicking the bucket from over use, but after it was all rebuilt I was still having the same issue – I couldn’t connect to QuickBooks with our software! Come to find out – the most recent round of QuickBooks updates “broke” backwards compatibility for the SDK. 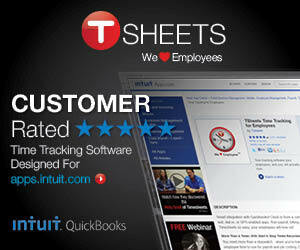 Intuit says they are aware of it, but there is indication of when this will be fixed. For me it wasn’t much of a big deal, but for Ben it meant uninstalling QuickBooks, reinstalling it without applying any updates and then rebuilding the updates for our software! So today I’m owning my crabiness and doing something about it (geeze, I feel like Maxine!). I’ve created two new support categories on our main website containing mostly short (many under 10 minute videos) on our most frequent support calls. You can find Certified Payroll Solution How-To’s here and Construction Application for Payment Solution How-To’s here. By the time I’m finished there will be roughly 30 brand new training videos – most of which last 5-10 minutes and they are going to replace me. Why did I choose to create videos? Most of my time is spent on the phone – feeling like I do nothing but repeat myself all day. This is a common feeling for anyone who provides any sort of support or training. Video’s don’t get tired or crabby (and frankly I do! ), are available 24/7, and are free! It’s either that or only answer phones 4 hours a day – to which our customers would revolt! Spring is arriving quickly and I’m tired of being chained to a desk and a computer – I want to get outside! I started my tomatoes and peppers on Sunday from seed and am looking forward to my vegetable garden, the harvest and canning season. 5 Responses to Boy, It Sure Has Been BUSY Around Here! I’ve been thinking the same thing. Hopefully, we can get to 4 days soon. They will not replace you! Hopefully reduce your hours though. loveeeeee it. glad you found time in your busy day to work on your new project (how-to vids). I really hope that helps decrease your work hours!